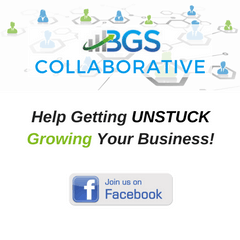 Several events recently occurred with client businesses that made me take a step back and really try to understand a why small business owner makes some of the decisions that they do! For nearly a year I have been advising one client to put better employee systems in place. Well, it’s finally hit the fan! A key employee left for more money after another employee had some health issues. Now everything has nearly come to a screeching halt as a result. In another case, while assisting a client to determine the size their company needed to grow in order to get to the business to a self-sustaining state the client said “revenue has been beyond this level before.” His heart sank . 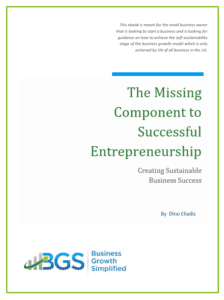 He realized he had been where he needed, but he did not make business self-sustainability an objective. As a result, he didn’t make the right hires to free himself from the business. So, he has to do it all over again! You probably think you see the flaws in both scenarios. But, do you really understand the psychology that caused these outcomes? This takes a little deeper look in the mind of a small business owner. First you must understand the root-cause in both these scenarios. The small business owners made the same mistake in both situations. They approached their business as an “paycheck” (small business owner mentality). They should approach their business as an “income generating asset.” It should generate wealth for the small business owner’s family, and provide paychecks for their employees (entrepreneurial mentality)! Instead, the small business owner just looks at their business as a paycheck. And as a secondary objective, making some extra money (profit) if they’re lucky. When they should be looking at their business like an investment that could continue generating income for them. THIS IS NOT A GOOD DECISION!! I didn’t say you had to retire. I said, build your business like an asset!!! It should be capable of paying you and your family whether you’re there or not! 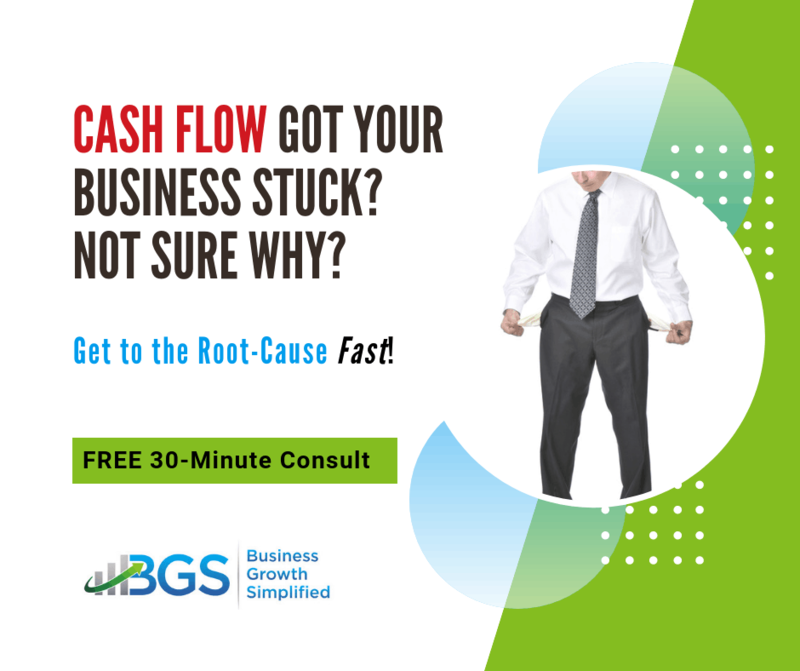 That means your business is a cash flow machine by itself (business self-sustainability), NOT a job that you come to work at every day so you can create the cash flow!!! 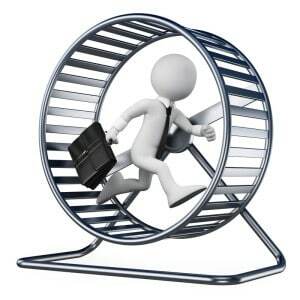 Why Does the Small Business Owner Mentality Exists? The reason most small business owners don’t think this way is because nobody ever told them they could build a small business that way! 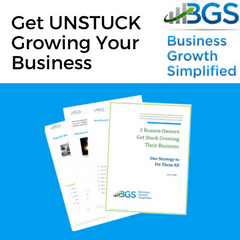 Most small business owners probably start out by getting tactical advice from someone they know that owns a business. The problem is that most of these other small business owners really just own their own job too. So, the new owner is getting bad advice from the wrong resource! Most small business owners don’t start thinking like an entrepreneur until it’s too late. This is usually one day when they’ve finally decided they’ve had enough and don’t want to go to their job anymore. 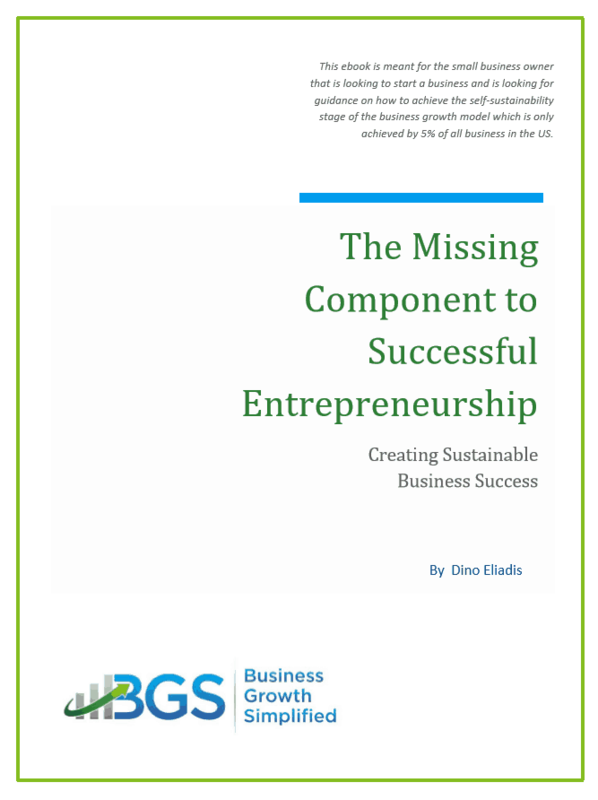 The problem is one we address in our eBook “The Missing Component to Successful Entrepreneurship”. What small business owners end up building is just a job. It has no real value. So, they can’t sell it because it’s even harder to find someone to BUY THEIR JOB! 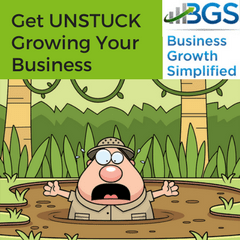 If they’re lucky they might find someone like me or Business Growth Simplified. They’ll tell them, “it take 3 – 5 years to get their business where they need it to sell! But, when you build a self-sustaining business everything doesn’t rely on you. So, you don’t have to come to a job every day any more. When problems rear their ugly head, it’s not as big an impact for you. You don’t have to drop everything in order to handle the problem. 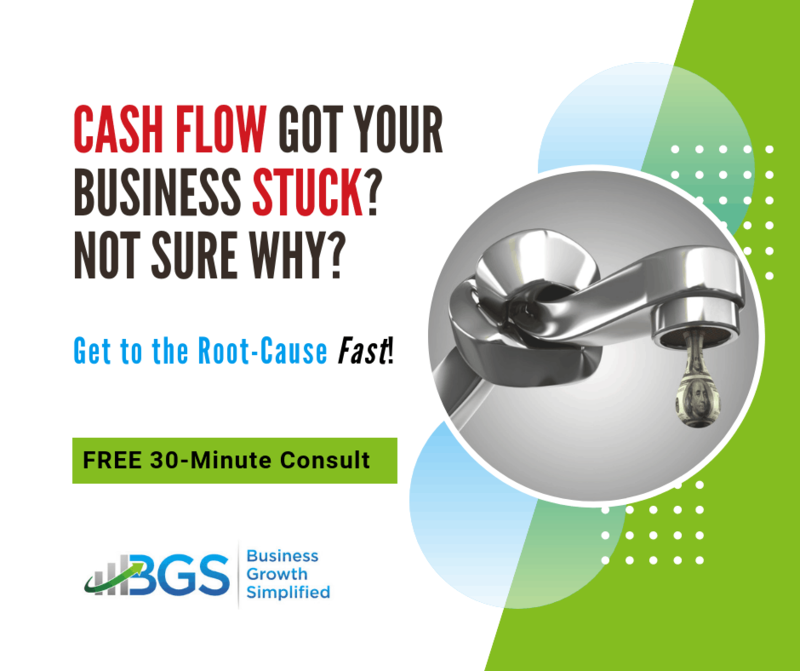 If you are the business, then when you drop everything your cash flow stops while you handle the problems. 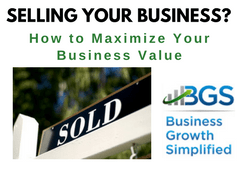 Also, if you build your business for self-sustainability, when you have finally had enough then you can sell the business because it has real value. So, you can really retire. Or better yet, if it’s already supplying you enough money to retire, and you don’t have to be there to run the business, why would you want to sell such a great investment? Bet you hadn’t thought about it that way before!!! Most of our DE, Inc. clients are building toward this second scenario. 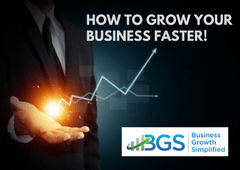 Subscribe to one of our memberships if you want to grow a self-sustaining business and turn your business into an on-going income stream and legacy for you and your family! Not Ready for a Membership Yet? Why not at least stop thinking like a small business owner and start thinking more like an entrepreneur. 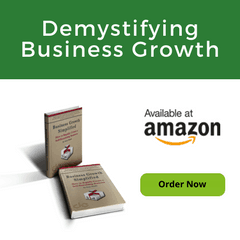 Just complete the form below to get a FREE copy of our e-book The Missing Component to Successful Entrepreneurship”.